Most every skier is ready for fresh tracks, but not every jacket is. The North Face Boys' Fresh Tracks Triclimate® Jacket uses GORE-TEX® 2L fabric to ensure it's ready for the deepest powder mornings. That waterproof-breathable shell pairs with an included zip-out liner jacket that stuffs it full of synthetic insulation for added warmth. Skiers can wear the two together, wear just the shell or wear just the liner, depending on what they're doing and what the weather is like. The shell is fully featured no matter how it's worn, slinging a powder skirt around the waist, dropping a removable hood over the head, and closing a ski pass in a secure zippered pocket. The only thing the skier needs to worry about is getting up early enough to beat the crowds to first chair. "Is this jacket for cold temp when skiing"
"Thank you for your inquiry. We do not have a temperature rating for The North Face Fresh Tracks GORE-TEX Triclimate Ski Jacket. 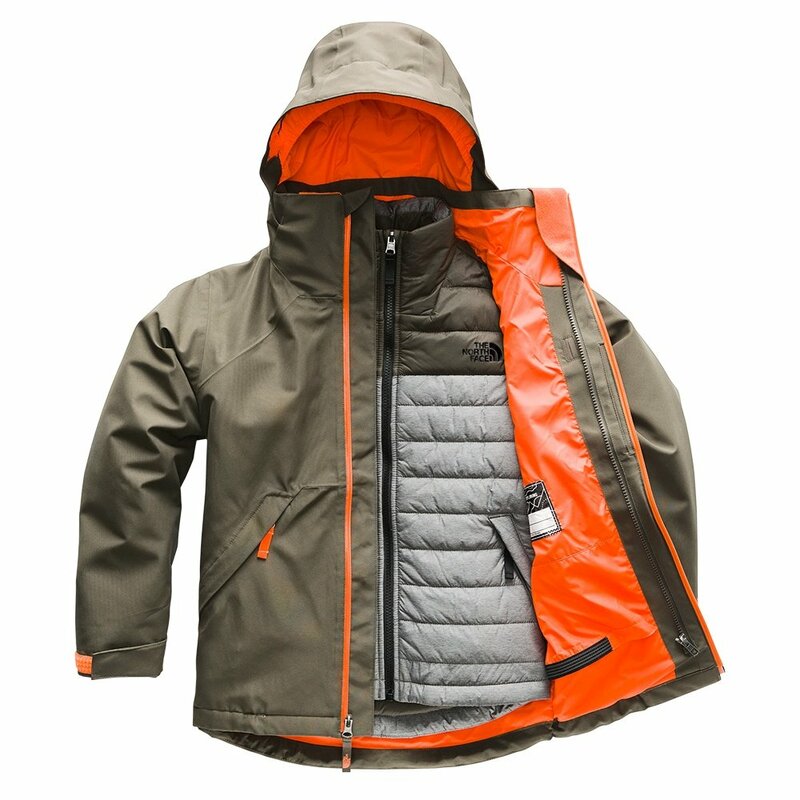 However, this is a very warm jacket with 150 grams of insulation and fully waterproof. "